Hybrid unavailable in the U.S. Buyers shopping for all-wheel drive versions of the 2016 Lexus IS should be aware that availability will be limited in areas that don't experience wintry weather. The 2016 Lexus IS doesn't quite hit the high-water mark set by German rivals, but it's a pleasantly capable compact luxury car. Although its design remains essentially unchanged, the 2016 Lexus IS sees a reconfigured three-tier lineup that caters to a variety of buyers with 4- and 6-cylinder engines, rear- and all-wheel drive, and F Sport packages across the range. The most noticeable piece of design on the Lexus IS is the "spindle" grille at the front of the car. F Sport models get an all-black mesh grille inside the spindle shape, creating a gaping, aggressive maw. Standard IS sedans get a slightly more normal look with horizontal bars filling the upper two-thirds of the spindle opening. Sculpted sides and pointed tail lights give a dynamic feel to the profile, while the simple, clean rear end finishes the new look on a tight and tidy note. Inside, a tiered dashboard adds an upscale feel to the design, while the center stack's controls are simple and cleanly laid out. The steering wheel shape continues the upgraded look and feel, and in F Sport models, an LFA supercar-inspired digital instrument display takes the IS to the next level. Interior materials look and feel refined and high-quality. Seats are comfortable, though F Sport models could use a little extra bolstering, and there's reasonable space for rear passengers. While the trunk is still on the small end of the spectrum for the class at 13.8 cubic feet, it's big enough for most purposes. A new IS 200t serves as the new entry-level model, and features a turbocharged 2.0-liter inline-4 that pumps out 241 horsepower and 258 pound-feet of torque; it's mated to an 8-speed transmission that sends power to the rear wheels. 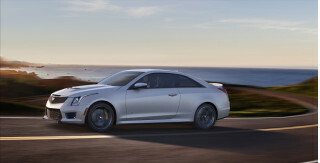 A newly created mid-level IS 300 has a 3.5 V-6 rated at 255 hp and 236 lb-ft of torque. 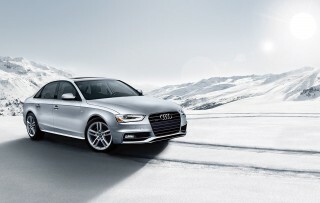 It's available only with all-wheel drive and a 6-speed automatic transmission. Unchanged from last year is the IS 350, with a 3.5-liter V-6 that makes 306 hp and 277 lb-ft of torque; it's the only IS that can be had with rear- or all-wheel drive. Even the 200t is quick enough, with a 0 to 60 mph time of 6.9 seconds. It does, though, display a quirk we've noticed in other Lexus model with the same powertrain: a noticeable delay while the turbocharger and transmission decide how to react to a gas pedal pressed to the floor. We haven't yet driven the IS 300, but this isn't an issue in the IS 350. Steering precision and feel is good for an electric-boost system. The optional variable-ratio steering in IS 350 F Sport models sharpens the car's responses noticeably, but doesn't improve feedback. Standard safety equipment in the 2016 Lexus IS includes a full complement of airbags, with driver's and front passenger's knee airbags; front seat-mounted side airbags; front and rear side curtain airbags; and the usual side and frontal airbags. LED daytime running lights are standard, as is vehicle stability and traction control, tire pressure monitoring, and an energy-absorbing crash structure. Optional safety features include blind spot monitoring with rear cross-traffic alert, dynamic radar-based cruise control, lane departure warning, park assist, and a back-up camera. The Lexus IS offers a strong set of standard equipment, including an audio system with eight speakers, a 7.0-inch screen, CD player and radio with HD Radio capability, MP3/WMA/USB and iPod handling, voice recognition, and streaming audio via Bluetooth. Other standard features include power accessories, manual-tilt steering wheel, 60/40 split folding rear seats, programmable electronic settings memory, and electrochromic mirrors. Many optional upgrades are available, including standalone options like 18-inch wheels, an all-weather package, and a range of safety features. Package upgrades include a navigation system which brings GPS navigation, a rearview camera, and access to Lexus' Enform telematics system. A Mark Levinson audio system can be added, bringing with it 15 speakers and 7.1-channel surround sound. A premium package adds twin projector LED headlamps and heated/ventilated seats, while the luxury package adds those features plus rain-sensing wipers, blind spot monitoring, leather-trimmed interior elements, and wood trim among other features. The IS 200t gets the best gas mileage of the bunch: 22 mpg city, 33 highway, 26 combined, according to the EPA. The efficiency outlook is a bit more bleak for the V-6s. Expect 19/26/21 mpg with the IS 300, while an IS 350 will return 19/28/22 mpg (rear-wheel drive) or 19/26/21 mpg (all-wheel drive). Though its spindle grille still splits opinions, the IS still makes a conservatively handsome styling statement. 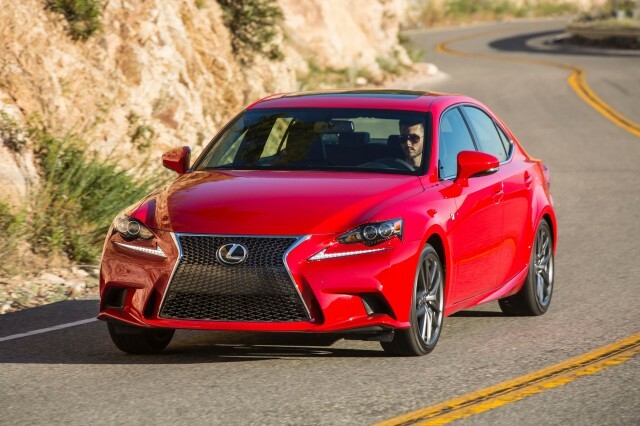 Exterior design for the 2016 Lexus IS begins with a love-it-or-hate-it spindle grille. The now-ubiquitous Lexus styling feature has become familiar, and while its aesthetic value may still split opinion, it has become a familiar styling cue. Angular, expressive lines wrap around the front end, continue in lean and graceful curves down the sides and rear. The Lexus IS has a purposeful stance that communicates its readiness to take on whatever the day brings, whether chasing canyon bends or a night on the town. There are a few design quirks that will not be for everyone, however. At the front, the LED daytime running lights are housed in their own strip, just below the headlight, rather than as part of the headlight unit. At the rear, the taillights wrap around the sides to form a noticeable spike, and the duct just behind the front fender can seem a bit awkward from some angles. Although interior materials are good, the real standout inside is the cabin's upscale design. With a wide, squat center console, tiered dashboard, and analog clock, the visual effect is similar to interiors of cars costing twice or three times what the IS does. The IS lineup gets two new variants this year, and buyers can choose performance levels that match their tastes and budget. Lexus has reconfigured its IS lineup for 2016, most notably with the new entry-level IS 200t. It's powered by a turbocharged 2.0-liter inline-4 that's being rolled out in numerous Lexus models, and which produces 241 horsepower and 258 pound-feet of torque. It comes only with rear-wheel drive and an 8-speed automatic transmission with paddle shifters and three drive modes: Eco, Normal, and Sport—though cars with the F Sport package gain an extra Sport S+ mode. Lexus claims 0 to 60 mpg acceleration of 6.9 seconds, and the IS 200t feels reasonably strong in most situations. 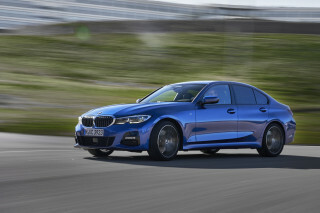 In a short initial drive, though, pressing the pedal to the floor resulted in a noticeable delay before the turbocharger and transmission decided to react. There was also fussy transmission performance in uphill driving, when slight variations in throttle produced nearly constant shifting—the only way to avoid this irritation was to shift manually with paddles. Next up the ladder is the new all-wheel-drive IS 300 with a 255-hp version of Lexus's 3.5-liter V-6 mated to a 6-speed automatic transmission. Torque is rated at 236 lb-ft, and you can expect to reach 60 mph in 6.1 seconds. We haven't yet had the chance to drive an IS 300. 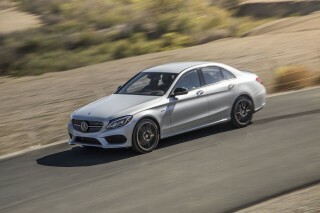 The top-trim IS 350 carries over 2015 with a 3.5-liter V-6 that makes 306 hp and 277 lb-ft of torque. It's available with rear-wheel drive and an 8-speed transmission (5.6 second to 60 mph) or all-wheel drive and 6-speed transmission (5.7 seconds to 60 mph). While the all-wheel drive's extra foul-weather traction is a nice feature, the rear-drive model's driving dynamics make it the enthusiast's pick. Combined with the F Sport trim package and Adaptive Variable Suspension system—available across the range—the 2016 IS corners with very little body roll, and is well-controlled and fun-to-drive in all respects. At the outer limits, tuned-in understeer is noticeable, but it's a minor issue. Selecting from various drive modes—Eco, Normal, Sport and Sport S+—sharpen or soften the car's reactions at the driver's command. 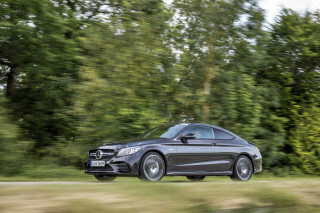 While the 6-speed automatic is smooth and perfectly functional, the 8-speed shifts quicker and smoother, improving both sporty and around-town driving. Overall, the 2016 Lexus IS is a fun-to-drive car with well-balanced traits, but it's not quite enough to put the fear into the German, Japanese, and American competition. It's worth noting that all-wheel drive cars may be difficult to locate outside of areas that experience inclement weather. At the time of writing, for instance, we couldn't find a single all-wheel-drive IS on dealer lots in California. With just a few exceptions, the interior is an oasis of comfortable seats and high-quality materials. We've always thought well of build quality in the current Lexus IS. Materials are very good—high-quality plastics, rubbers, and other elements in the cabin have a durable feel, with only a few notable exceptions. Specifically, buttons on the steering wheel—items with which you'll use regularly to control the vehicle and infotainment features—seem hollow, cheap, and unnecessarily plasticky. Seats are comfortable, though F Sport models could use even more bolstering to keep the driver in place during aggressive maneuvers. The cabin of the IS is comfortable and spacious for its class, though a good bit smaller than the current 3-Series and C-Class. The 2014 redesign netted the IS an extra 2.7 inches in the wheelbase, improving rear leg room by 1.6 inches and front leg room by 0.9 inches over previous generation. Overall cabin volume is also up significantly, thanks to the extra leg room, plus an extra inch of head room. In all-wheel drive models, though, driver and passenger footwell areas are somewhat compromised by a center tunnel expanded to accommodate the transfer case. Trunk room is also fair, if not great for its class, at 13.8 cubic feet. Although it doesn't earn the highest ratings, the IS still delivers good crash-test results and lots of safety tech. The 2016 Lexus IS can be equipped with many of the most advanced safety features currently available, and boasts good crash test results. The IIHS gives the IS top "Good" marks in moderate overlap and side-impact crash tests. When equipped with an optional pre-collision system, the IS also receives an "Advanced" rating for front crash prevention. The NHTSA gave the 2016 Lexus IS a five-star overall rating with four-star frontal results and top five-star results for side impact and rollover. The 2016 Lexus IS offers many standard and optional features that enhance safety on the road, including subscription-free traffic and weather updates in the new infotainment system, 10 airbags, lane-departure warnings, blind-spot monitors, and rear cross-traffic warning. Buyers won't feel penalized if they skip on upgrades, but those who tick all the option boxes an IS will get a luxurious car, indeed. Standard equipment across the IS range includes leatherette upholstery, dual-zone automatic climate control, a moonroof, keyless ignition, power front seats, HID headlights and 17-inch alloy wheels. An HD radio with weather and traffic date are also standard, as is Siri Eyes Free for iPhone users. A Mark Levinson sound system, 18-inch wheels, lane departure warning, and adaptive cruise control with a forward-collision warning are among the standalone options. The available Lexus Enform system provides smartphone app integration, remote access features, telematics, and more. Adding navigation to the IS gets enhanced 3-D map displays. Drive Mode Select offers customizable ride and handling qualities, and there are available high tech features like casual-language voice recognition. Most IS models found on the lot will have one or more option packages. 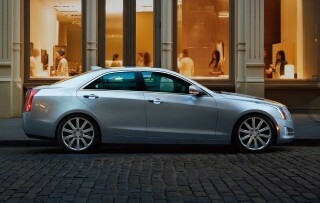 The Premium Package comes with a rearview camera, LED headlights, and heated/ventilated seats. The Luxury Package adds to this a heated steering wheel, parking assist, leather upholstery, two-position memory for the driver, and wood trim. The Premium Plus Package has rain-sensing wipers and a power tilt-and-telescoping steering wheel. The F Sport package adds 18-inch split five-spoke wheels on staggered tires, F-Sport tuned suspension (adaptive variable suspension on IS 350 RWD models with F Sport package), 10-way driver adjustable seat, eight-way passenger adjustable seat, perforated leather steering wheel, and a number of visual and F Sport-badged tweaks. On F Sport models, the standard Optitron gauges are replaced by an LFA supercar-inspired TFT combination instrument cluster, adding a marked visual performance spark to the driving experience. IS 350 RWD F Sport buyers can opt for variable-gear-ratio steering. The addition of a more frugal turbo motor makes a 200t the obvious choice for those who prioritize fuel economy. In a class filled with fuel-sipping 4-cylinders and monstrous V-8 engines, the Lexus IS earns fair-to-good EPA ratings, but isn't especially green in any form. Even with the new 2.0-liter turbo-4, a Lexus IS 200t isn't likely to lure buyers on its green merits—though at 22 mpg city, 33 highway, 26 combined it handily beats either of its V-6-powered stablemates. The IS 300, which is all-wheel drive, gets 19/26/21 mpg. With its 8-speed transmission and a more powerful V-6, the rear-wheel drive IS 350 actually improves on the IS 300's efficiency: 19/28/22 mpg. 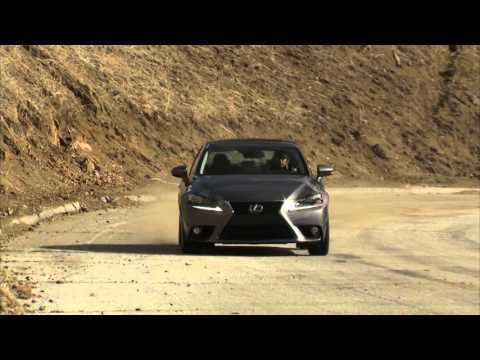 An IS 350 with all-wheel drive and the 6-speed knocks it back down to 19/26/21 mpg. As someone who enjoys whipping it around a back road after a long day, I figured the IS, being a driver-focused car, would be a good fit for me. Even so, this car has impressed me with its quality interior... As someone who enjoys whipping it around a back road after a long day, I figured the IS, being a driver-focused car, would be a good fit for me. Even so, this car has impressed me with its quality interior, composed yet involved driving feel, amenities for the price, and strikingly sporty appearance (which is better in person than photos). The design of the IS is a strong point in my opinion. It's exterior is unmistakeable for anything else, and the paint itself seems to be of a high grade (mine is Atomic Silver). Inside, this continues with an interior that is unique in the class of vehicle. The red seats in my car are excellently finished with a very soft faux leather. It's not going to convince you it's real leather, but the seats are overall great for cruising with good back support. In addition, the steering wheel is covered in soft leather, and even the back of the shift knob gets the same treatment. While the infotainment screen itself looks a bit dated, the controls are all at hand. Remote Touch is kinda gimmicky but works with practice. Of course, the F Sport instrument cluster is brilliant - probably my favorite feature of the interior. In terms of actually driving the car, this car has a split personality. At times like commuting or stopping by the grocery store, it's a very normal car to drive. It has a very quiet, smooth ride in normal traffic, with the somewhat stiff suspension being the only clue that it has sporting pretensions. The engine note is even quite subdued. However, when you dip into the gas pedal, the engine gets louder (and better-sounding! ), and the transmission shifts faster. 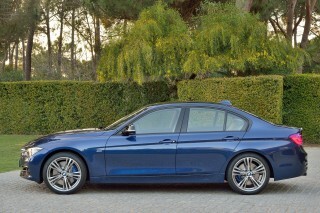 This may not be the fastest sport sedan available, but it feels fast. The steering is also fairly sporty, with a heavy, but not too heavy, weight, and very good precision. There's little play in neutral. It's a nice handling car and easy to drive, with power when you need it. Eco Mode is kind of a fun killer, but I would recommend it if you want to drive smoothly for your passengers. I have few complaints about this car, so I'll put them all in this section. First of all, the cupholders are a bit inconveniently placed - behind the passenger's elbow. Second, the voice recognition seems below average so far, requiring multiple attempts from time to time. Finally, Remote Touch is going to be a constant learning process for new passengers, as the mouse has a tendency to jump all over the screen when you first use it. (The driver will likely be able to adapt over time.) One other thing - gas mileage is pretty below average as well - so far I have gotten about 20 mpg in mostly city driving.